At Coapt we are committed to working with – and for – our landlords. We understand the value of your portfolio and have a strong package of services in place to meet your needs. As specialists in student accommodation and buy-to-let investments, we know lettings like no-one else. We understand how you can get the most value from your portfolio, the importance of finding the right tenants, and the steps needed to reduce risk to your property. At Coapt we work with first-time landlords and seasoned pros, guiding them through the lettings process with clarity and consideration. The initial set-up of a new tenancy can be time-consuming, so why not leave it in our hands? We’ll use our expertise and experience to market your property and source tenants, complete the paperwork and supply it to you as a fully comprehensive pack. Acting as your go-to resource, we’ll also keep you fully up-to-date on the latest industry legislation. Making sure you’re ready to hit the ground running as you take on full management of your property, once tenants move in. Bursting with local knowledge and experience, our sales team are on hand to lead you through the sales process with ease – whether you’re a first time seller or a landlord with a property portfolio. The sale of any property can be a daunting task with many possible pitfalls, you need the right team there if anything goes wrong. From our experience we know that communication is key, we liaise with all parties, keeping you updated every step of the way. Professionally presented interiors and compelling online listings across a variety of platforms ensure that our properties get the exposure they need. Once you list a property with us, you can also choose to receive further notifications from us on future sales – adding value to any buy-to-let landlord looking to expand their portfolio. You can trust we’ll act in your best interests, be energetic, professional and efficient from the very beginning when listing your property through to completion. 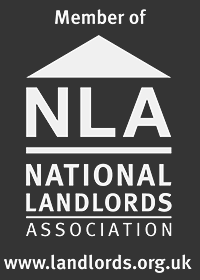 We have a vast network of landlords and buyers – who are looking for properties – that we can quickly reach out to. With Coapt you can relax in the confidence we’re managing your property as if it were our own. We conduct regular inspections, use trusted contractors, and react rapidly when issues arise. We’ll ensure you’re not at risk and are fully compliant with the latest legislative requirements. This includes gas safety, HMO licensing, right to rent, how to rent, planning permissions, and deposit regulations. Our trained staff are on hand to ensure any arrears are dealt with swiftly and effectively. As part of our relationship with you, our dedicated Coapt account managers will keep you up-to-date and in the know. Leaving you safe in the knowledge that the management of your property is in good hands, earning healthy returns. 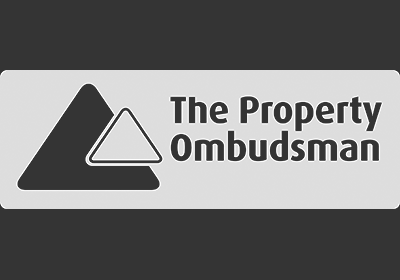 Some of our landlords prefer to manage aspects of their properties themselves. Pick and choose how you want to manage your property – and what level of support you want from us. Our tailored package gives you the flexibility to handle your own repairs, using your preferred contractors. Liaise with your tenants direct on property maintenance yet still benefit from our overall support and excellent rent collection record. Talk to us about how we can help you with your property requirements, be it buying, selling, or letting.